[SOLVED] Setting up dual montior. Need some simple answers, and maybe a link to buy. I currently have gtx 1050ti with 1hdmi 1dp and 1dvi, HDMI is used for my main and looking to setup a second, but my second monitor doesn't have dp, could I get a hdmi to dp and would it allow me to use my second montior? 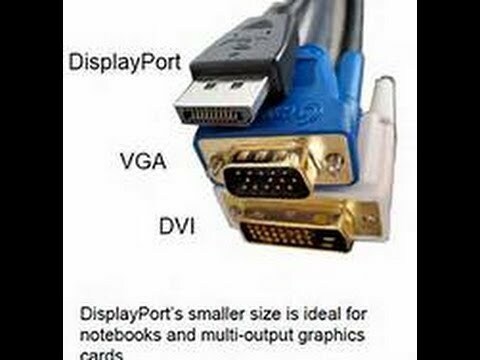 Why dont you just use DVI for the second monitor? I don't know much about outputs. But the cable I received is too small for the output on my gpu. It's a blue one similar shape to what it is But too small? Ah I see. So if I get a dvi it'll work fine? I game quite a lot and seriously, is there much of a difference between hdmi and dvi? Dvi from monitor to pc will work just fine? Okay thank you for the help!! [SOLVED] How to reset project settings win 10?